"It was very much a picture of me juggling everything that mothers do." 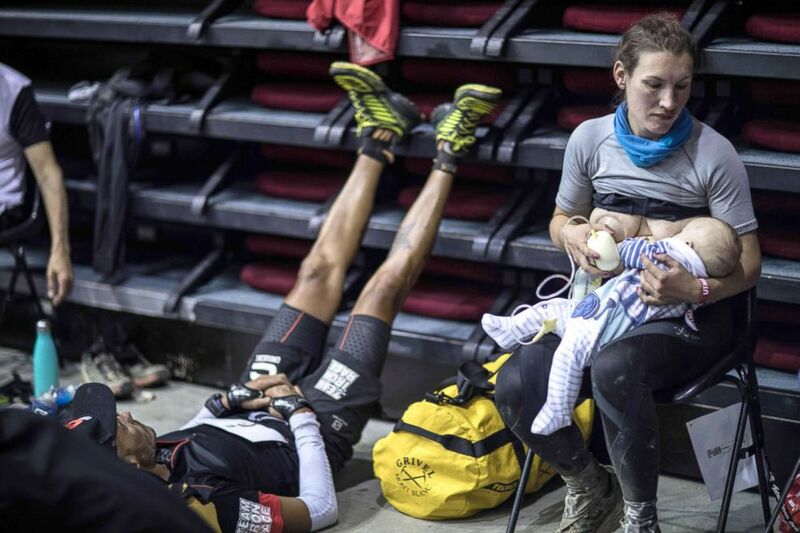 (Alexis Berg/AFP/Getty Images) Great-Britain's trail runner Sophie Power breastfeeds her three months old baby Cormac during a break as she competes in the 105 mile Mount Blanc Ultra Trail (UTMB) race, Aug. 31, 2018, in Courmayeur, Italy. It's fantastic that there's a platform for women to speak about the struggles they have of breastfeeding.